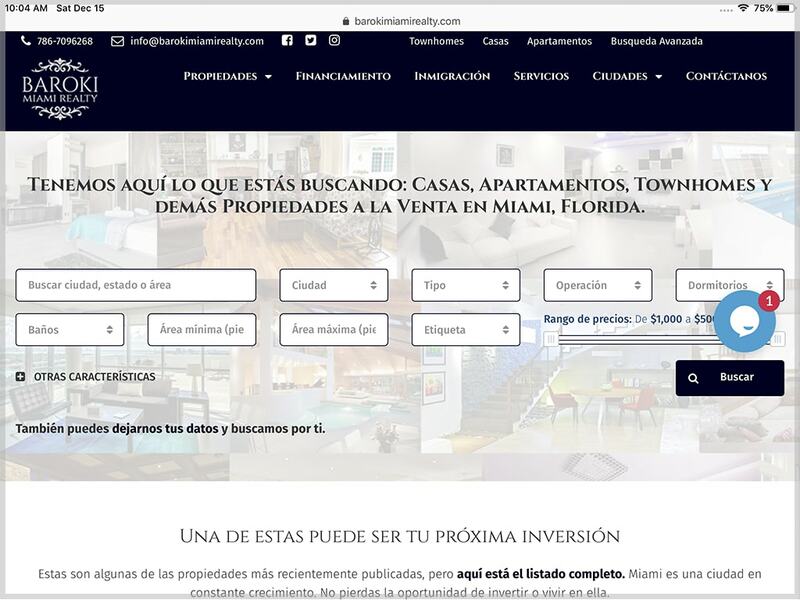 Baroki is a real estate company in Miami, formed by professionals from different specialties, which allows them to offer a number of related services. They needed a website where prospective clients could search for properties in a digital catalog and request more information. The main purpose of the website was to inspire confidence and offer useful information.